You can fill openings in your schedule with future appointment that have beem marked ASAP and past appointments that have a status of Broken or No Show. Note: This tool for filling openings ignores recare appointments. On the Calendar page, navigate to the day or week that has open appointment times that you want to fill. On the Actions menu, click (or tap) Fill Openings. A panel opens. The panel displays future appointments (relative to the day or week currently being viewed) for which the ASAP check box is selected. 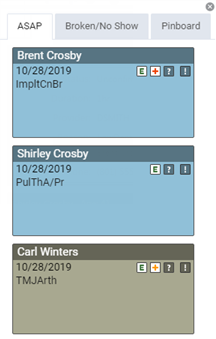 The panel also displays past appointments (relative to the day or week currently being viewed) that have a status of Broken or No Show. Recare appointments are not included. 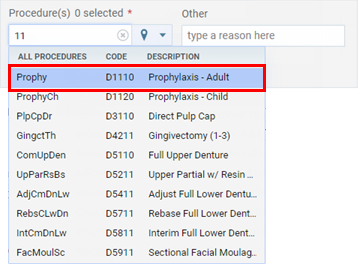 On the ASAP and Broken/No Show tabs, as you go down the list of appointments, use the phone number that is displayed on each appointment to contact the corresponding patient. 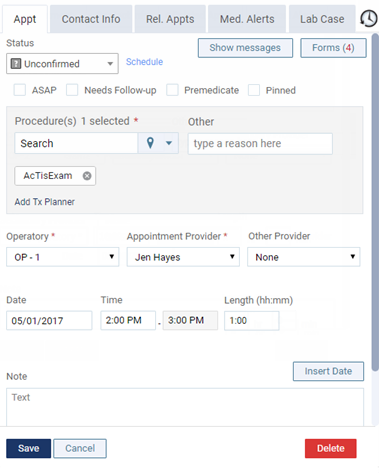 Tip: To open the Overview page of the patient's record on the Patient tab, click (or tap) the patient's name at the top of an appointment. Click (or tap) the appointment. Click (or tap) the Schedule link. Note - Type a Note relevant to the appointment.